The typical natural cowboymanship audience is mostly comprised of relatively novice equestrians. In a novice context, ‘whoa’ is certainly more important than ‘go’. And teaching a horse to stop and remain immobile can be frustrating, because, as with all training, it takes repetition, consistency, time and patience. But this does not mean getting “go” is easy. In fact it is not. Moreover, recovering enthusiasm and brilliance in motion can be one of the most difficult challenges even an advanced trainer will ever face at the “high school” level. If we hope to achieve the three P’s (passage, piaffe, pirouette), we must ruthlessly protect our horse’s desire and willingness to “go”; this desire and willingness is what the classical (and pre-classical) masters really meant by “impulsion” – as opposed to “extension in balance”. Our horse must become completely immobilized when we ask for it. But the cliche implies there are no risks erring on the “whoa” side, because the “go” can be more easily recovered. Implicitly, the hard and important part is getting him to stop. 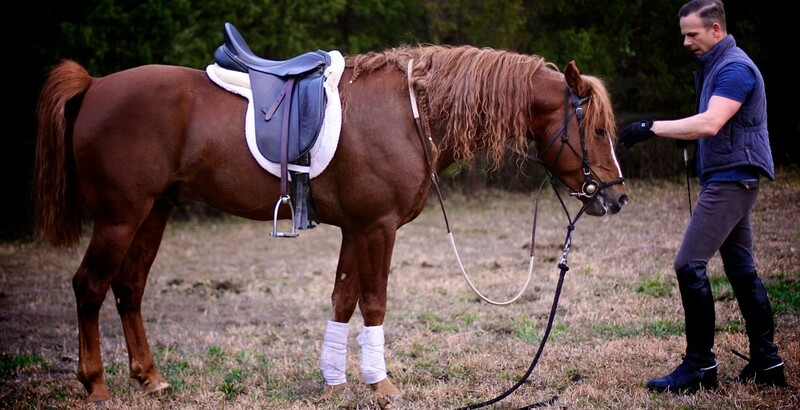 If you’re only ever going to plunk around on the trails – with your horse lumbering on his forehand, not caring too much what he looks like, nor whether you have anything beyond approximate and rudimentary control, then this article is not for you (yet). What you’re doing is a recreational hobby, whereas I’m pursuing Oliveira’s ‘art’. 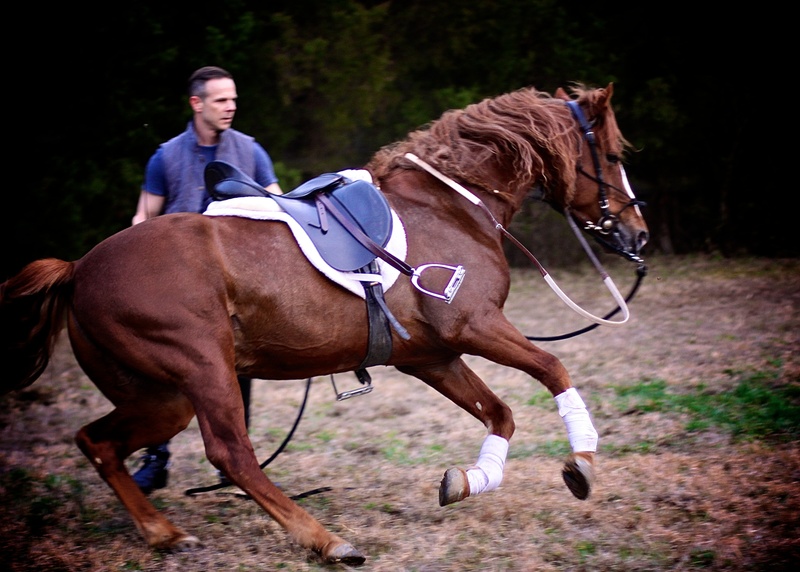 But should you anticipate the desire to evolve your capabilities, and hope to someday enjoy the delicacy of riding a fully dressed, balanced instrument, ensure you understand this important fact: it is very difficult for an unlearned rider to retain a horse’s desire to “go” over the course of even basic training. And this desire is the “main thing”. It is this desire – shaped by your communications – which give the horse brilliance in motion … that extra lift and spring which make the collected school trot such a pleasure to watch or ride. It is this desire which will most quickly lead you to a regular “cadence” and tempo; a musical baseline which is always playing in the background when your horse is working or being worked properly. His desire to continue moving to his natural rhythm is what will bring you to piaffe as you slow and cadence his walk and compel him to balance properly. Should you ever intentionally or accidentally snuff this out (which will happen as a result of over-working him, confusing him, or mis-training him), getting it back can be difficult. Recovering “go” (while retaining the goodwill of your horse) is certainly an “advanced” and exceptional problem, and retrieving it using fear will bring only more difficult problems – namely, anxiety in execution. Bye-bye “relaxation”. From the Beginning: Go Means GAT! From the time we begin groundwork, when I give an order, I want it executed with enthusiasm. That willing swell of energy is the raw material I need throughout training to achieve brilliance in motion. Without it, there is no brilliance. Without it, there will be no high school worthy movement – at best, there will a reluctant imitation of the real thing. From the very beginning of our work together on the ground, I encourage my horse to really launch from a stand-still. I do this by fostering their innate desire play, vs. routinely scaring them into a blind panic. The result is a lot of power on tap when I need it. I am unconcerned with being unable to control it from the saddle. Controlling forward momentum is never going to be an issue by the time we get there … I am far more concerned with retaining the natural desire to mobilize now. Ultimately, mobility will become a reward for immobility. As long as I can keep his psychology thus, he will execute upward transitions with certainty, haste and enthusiasm – and without the jerky paranoia which tends to accompany the transitions of unfinished and mis-finished horses. Surprisingly, as these upward transitions become crisp, the same sharpness manifests itself in both downward transitions (including the stop), and directional changes as well.